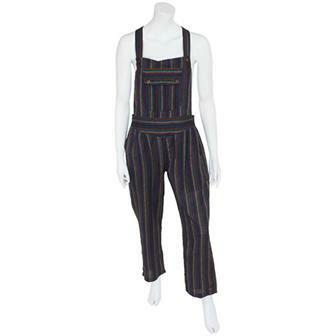 Set of funky woven cotton full length cotton dungarees made in our cute stripe mixed patterned Thai weave material. This classy number has adjustable shoulder straps and waist pockets. 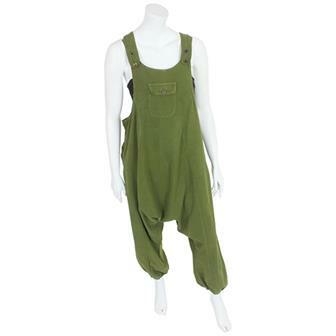 These elegant heavy cotton dungarees are hand made in Nepal. Each pair features a simple cut that uses shoulder ties for an easy-going fit. Also features two huge, super handy hip side pockets. These super loose, comfy fit dungarees have a relaxed cut that makes them ideal for chilling out in at home or at a festival. Finished with polished coconut buttons and elastic ankle hems. 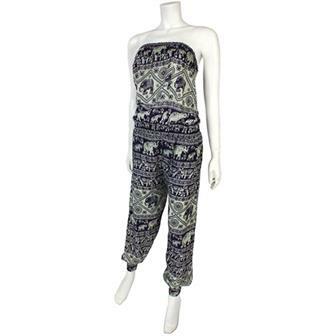 Awesome loose fit jumpsuit made from elephant printed material from Thailand. 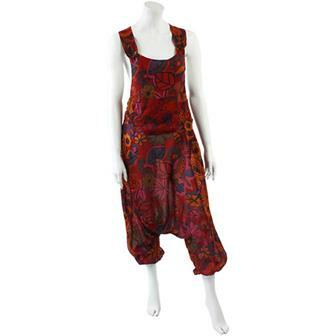 This comfy garment is perfect for summertime shenanigans with its billowing Ali Baba bottoms and dress-like top. 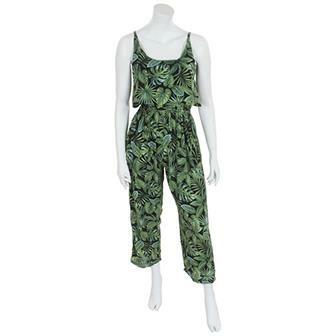 These splendid strappy jumpsuits are available in either our funky leaf print or in more minimal plain colours. Made in Bali, Indonesia. Hippy dungarees to the max, made from a plethora of both stripy and plain coloured cotton patches adorned with block printed designs, these comfortable and unique dungarees have Ali baba style trouser bottoms with elasticated ankle hems, large pockets and adjustable shoulder straps finished with polished coconut buttons. This is pretty much as festival Boho as you can get. These fantastic rayon and cotton patchwork dungarees are lightweight, comfortable and most importantly, eye poppingly bright and colourful. All the patches used in the production of these dungas vary so no two are ever quite the same. 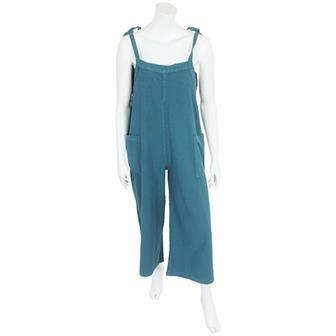 Gorgeous summer pair of full length dungarees, made from lightweight Nepalese cotton and finished with polished coconut buttons, this comfortable garment features an elasticated waist with a large front pocket and two hip pockets. 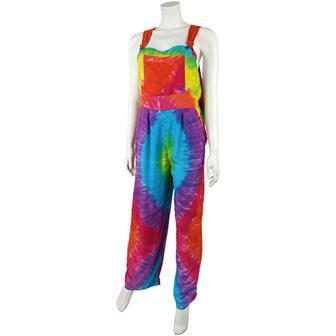 The ultimate in hippy chic, these full length dungarees are a parade and a party in themselves. Hand Tie dyed in a mix of bright rainbow colours with adjustable shoulder straps and a handy front pocket, they are perfect for strutting your stuff around the festival field. 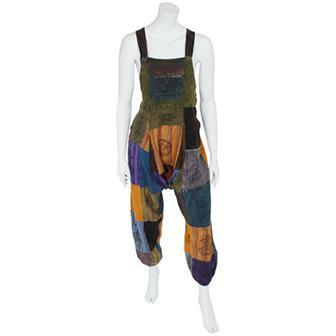 These fantastic harem dungarees have been decorated using a traditional technique of block printing. This is achieved by carefully hand carving a wooden block into a relief effect pattern, placing the block in dye and pressing it onto the garment. Full on dungarees in a busy and bright floral pattern, with adjustable shoulder straps and finished with polished coconut buttons. 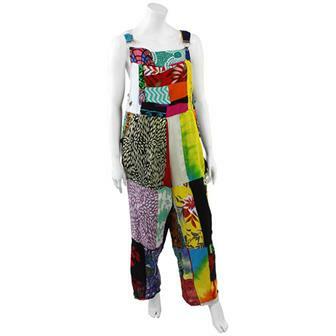 Cotton dungarees with a harem style trouser bottom in colourful patterned fabric. These funky garments are made from a very lightweight material and are perfect for hot sunny summer days at the beach or for wearing with leggings. 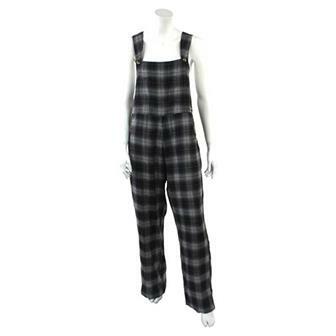 Made from soft brushed cotton in a variety of check colours, these fantastic dungarees are both brilliantly fashionable and comfortable. This playsuit is made from tactile, silky feeling rayon making it very lightweight and effortlessly easy to wear. With its eye catching print variations, this is the perfect bohemian outfit for hot, sunny days out. Relax into a supremely comfortable island life with these colourful dungarees. Featuring a calming tropical island motif, they are great for lounging in around the house, sauntering about a summer festival or rolling up the legs and letting those lanquid holiday waves lap at your ankles. 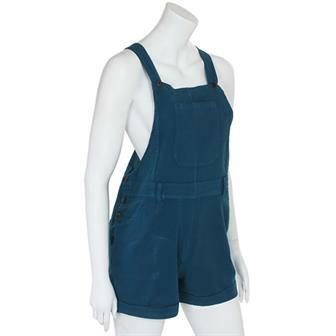 Cute little outfit, perfect for summer, combining a open back dungaree style top with a pair of shorts. These single colour pieces are made from fine mid weight cotton and finished with delightful coconut buttons along the sides and shoulder straps. Complete with three front pockets and belt hoops. 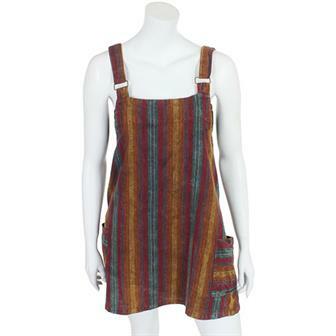 These beautiful handmade short dungaree dresses are produced in our wonderful tick tick fabric which is a type of stripy Nepalese cotton which has been given fine embroidery embellishments. Each dress has adjustable straps and twin front pockets. These beautiful handmade short dungaree dresses are produced in our wonderful Thai weave fabric. Each dress has adjustable straps and twin front pockets. One size. Colours and patterns vary. 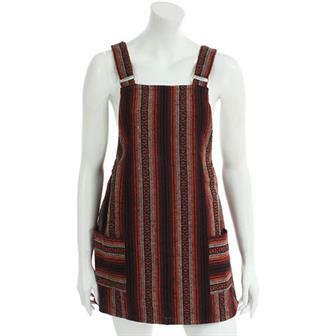 Dungaree dress made from wonderful Thai weave fabric in mixed colours and patterns now in a larger size. This cotton piece has adjustable shoulder straps and two front pockets. 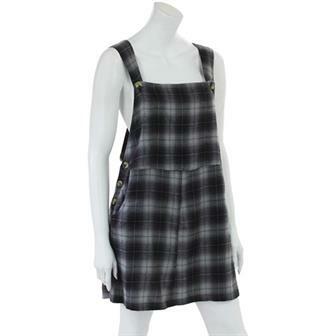 Made from soft brushed cotton in a variety of check colours, these fantastic dungaree dresses are both brilliantly fashionable and comfortable.